The end of November and you would think that all the wildlife has vanished from the landscape , however you only need to take an early morning walk to realize that there are lots of wild creatures still around. Here is a little folklore about the Robin from an Irish point of view ……. If the soul and symbol of the old sun and the Oak King was the Wren, the Robin represented the new sun. The wren was said to hide in the Ivy, the Robin in the Holly. The Pagan Neolithic Festival of the birth of the new sun, symbolized by the Robin, was at the Winter Solstice (21st December). The Robin (the new sun) killed his father the Wren (the old sun) and that is how he got his red breast, ie, from the blood of his father. A Robin coming into a house was supposed to be a sign that someone was going to die there in the near future. Despite this association with death, the Robin was praised for being the only bird capable of singing all the notes of the musical scale. And furthermore, the Robin can sing for half an hour without repeating the melody, unlike the other birds. This entry was posted on November 29, 2016 by nigel borrington. 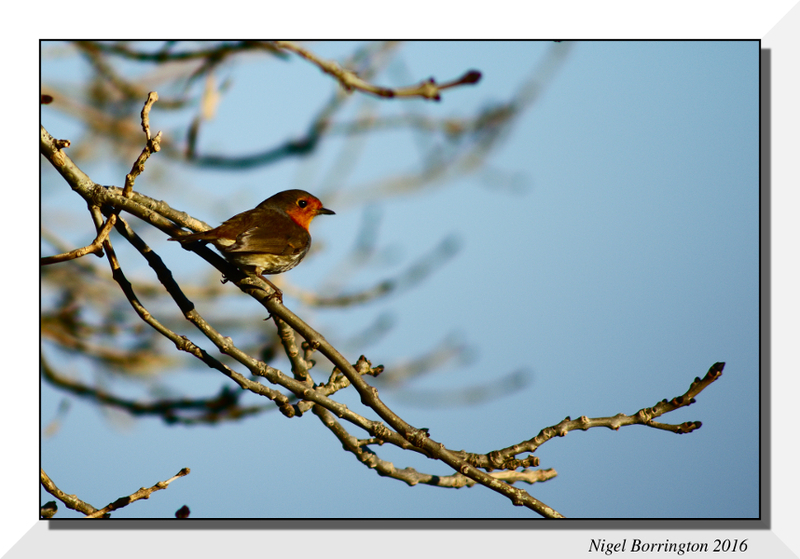 It was filed under Gallery, Nature, Nature and Wildlife, Pagan, Story telling gallery, The Pagan world and was tagged with birds, Folklore, Galway bay Nature Photography Nigel Borrington, Ireland, Irish myths, Nature, Pagan, pagan beliefs, Robin, stories about nature.